Constructional Difficulty: Medium. Large number of parts and some calibration required. The Discontinuity is an updated version of an older Oakley module called the Wavefolder. Both devices are voltage controlled waveshaper modules designed primarily for use in modular analogue music synthesisers. The module comes in our standard 5U high 2U wide format which is directly compatible with Synthtech's MOTM series. The new Discontinuity module, although using the same core technology as the old Oakley Wavefolder, is different enough in circuitry, usage and front panel design to be worthy of a new name. And it is the new discontinuity and offset controls and CV inputs that make this module very unique. 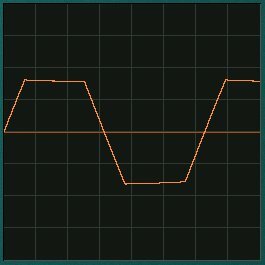 Waveshaper modules work very differently to, and perhaps less intuitively than, other sound shaping modules such as filters, ring modulators and amplifiers. As such the Discontinuity will take some time to get used to. However, when used to process simple VCO waveforms it is capable of creating some very beautiful tones, all of which can be varied dynamically in musically interesting ways. Input waveform type, whether triangle, sawtooth or sine, can have profound tonal differences in the Discontinuity's output. And varying the input level can also have some amazing affects. Internally the module is arranged as five sections connected in series. 2. The Clamper. 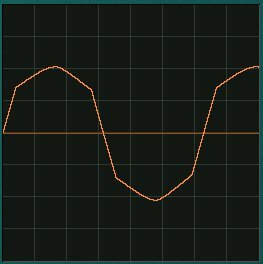 This prevents the output from going above or below a preset limit. Unlike the soft clipper circuit the clamping is hard and abrupt. And unlike the soft clipper the limit is completely voltage controllable. We call it the Threshold and it can be controlled with a front panel pot or input CV. Any input can be altered dramatically with this function. As well as being passed on to the next stage of the module, the output of clamper is available at its own output. a) POS  the input signal is clamped when it exceeds the threshold voltage. ie. if the threshold voltage is 2V, then all parts of the input signal that go above 2V will be clamped. b) NEG  the input signal is clipped when it falls below the inverse of the threshold voltage. ie. 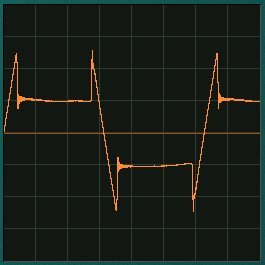 if the threshold voltage is 2V, then all parts of the input signal below -2V will be clamped. c) BOTH  the switch is in its middle position. Both negative and positive clipping takes place. ie. 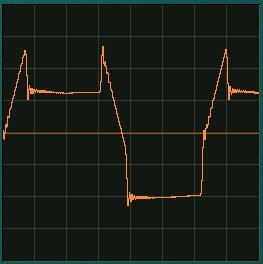 if the threshold voltage is 2V, then all parts of the input signal above 2V are clamped, and all parts of the input signal below -2V are clamped. The three polarity modes, positive, negative and both. In the old Wavefolder when the signal was clamped the output signal was simply held at the threshold voltage. In the Oakley Discontinuity the output level during clamping can now be varied dynamically. This can be done either as a function of the threshold voltage, via the module's Discontinuity control and its CV input, or as a fixed offset with the Offset control and its CV input. Furthermore, the offset can either be applied symmetrically or asymmetrically depending on the Track/Oppose switch. What this means is that we can actually remove any proportion of the original signal at that point where it exceeds the threshold voltages and replace it with another input. In other words we can splice one waveform in place of another. This has the potential to make some very new and wonderful timbres. Discontinuities being introduced by a) the Discontinuity pot b) the offset control in Oppose mode. 3. The Clipper. What the Clamper bites off, the clipper returns. The Clip output is the part of the original input signal that gets chopped off by the clamper circuit. 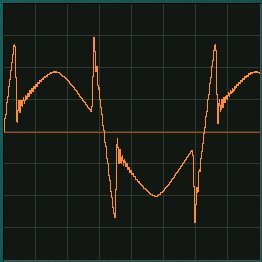 So if you put a 5V peak triangle waveform into the Clamper, set the threshold to be 2.5V and set the mode switch to BOTH, the Clamp output will give you the neatly clipped almost square wave output, while the clipper will give you the tips of the pointed bits of the original triangle waveform. 4. The Folder. The Discontinuity's fourth section is based around a four quadrant multiplier or ring modulator. Here the Clip out and Clamp out are mixed together. However, the clip output may be added or subtracted from the clamped signal. A pot and an external CV sets the mix ratio and polarity. Again, consider the 5V triangle waveform with the polarity switch set to either POS or NEG. With the Fold pot set to 0, you get the plain Clamped signal at the main output. Turn the Fold pot clockwise and the clipped signal will return to create the original signal once more. But keep turning it, and the clipped signal is now bigger then the original. Now turn the pot the other way. The clipped signal gets subtracted from the clamped signal. You can get full wave rectification, thus your triangle becomes another triangle at twice the frequency. Multiplication. Turn it up further and more harmonics come in. The fold parameter controls the gain of waveform that exceeds the threshold voltage. In the left picture we see the gain set to slightly less than one. In the right picture the gain is now negative resulting in the waveform being folded back on itself. These two pictures show the output with both folding and a discontinuity applied. The left shot shows the fold gain at around 50%, while the right hand shot shows a gain of around -50% and thus folding back on itself. 5. The Amp. 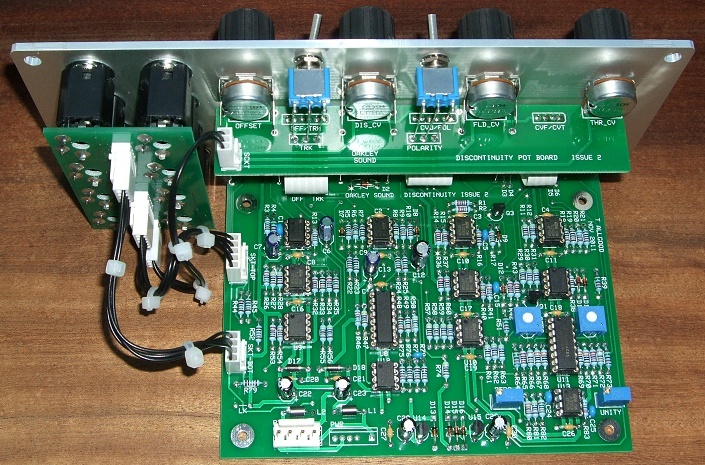 The last stage is a simple x10 amplifier. The Discontinuity can clip accurately down to small levels if you want, so you need a good amplifier to bring it up to a decent level again. And don't forget the Discontinuity will work with any signal, audio and CV. You can mangle EG outputs, LFOs and, of course, your VCO. Different waveforms will be treated in very different ways. These two shots show sawtooth waveforms being clipped, discontinuitied and folded. A great many new and interesing timbres and modulations can be created. The module accommodates either our standard Oakley/MOTM power header or a Synthesizers.com power header. The unit requires +/-15V and takes a maximum of 60mA from the positive rail and slightly less from the negative rail. Triangle wave input with a variety of manual and LFO tweaking. All samples used a minimum of one Oakley VCO, one Oakley VC-LFO for modulation and a midiDAC for control. Recordings were done dry except where stated. Triangle wave input. Negative and positive clipping, ie. no folding or discontinuity. Manual and then VC-LFO modulation of threshold voltage. 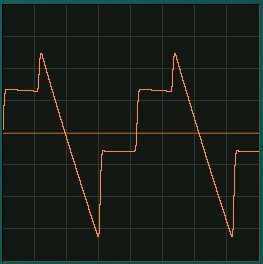 Sawtooth wave input. A combination of folding and clipping to alter a sawtooth to a ramp waveform via various discontinuous waveforms. 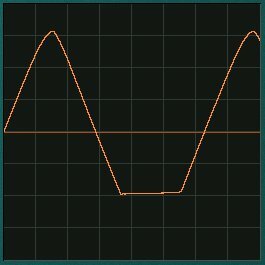 Triangle wave from VCO1 to main input, Sinewave one octave down from VCO2 to Offset input. Manual control of threshold to move from one VCO to the other. 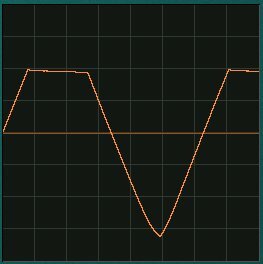 Some additional filtering from a COTA module and shaped with an ADSR. Stereo echo effect added to provide ambience. 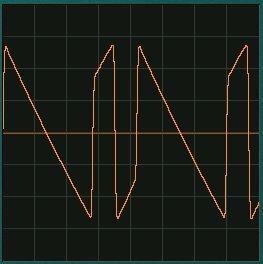 Sine wave inputs from two VCOs to create a ring modulation effect. The modulation VCO is connected to the Fold CV input and its frequency is manually tweaked as the clip progresses. The Fold pot is centralised, except towards the end of the clip, and the Threshold and Discontinuity pots are set fully anti-clockwise. Triangle wave input. Repeating sequence using an ADSR into the Fold CV input while manually tweaking parameters. A little echo FX is provided for ambience. 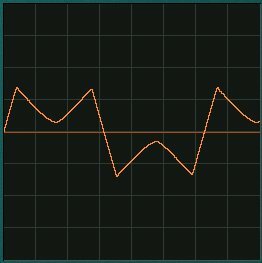 Sawtooth wave input. 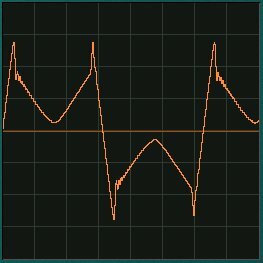 An ADSR is used to modulate the fold parameter and shapes the output from sawtooth to a triangle wave to create filter sweep type effects. The prototype issue 2 Discontinuity module behind a natural finish Scheaffer MOTM format panel. Issue 3 boards are similar. The Discontinuity module can utilise three PCBs, a main board and optional pot and socket boards. The multiboard method allows all the socket and pot wiring to be done with a special socket PCB and MTA solderless connections thus making the unit more rugged and less prone to wiring mistakes. The interconnection between the three boards is via 0.1" preformed jumpers and Molex KK or MTA interconnects. If you are building this module in the standard MOTM and Oakley format this new system will reduce assembly time by at least an hour and a half! As with all Oakley projects the PCB is double sided with through plated holes, has tough solder mask both sides, and has bold component legending for ease of construction. The main board is 113mm (depth) by 143mm (height). Some people will wish to use this Oakley design in a non standard format, such as fitting it to another manufacturer's rack or one of their own invention. This is perfectly easy to do. Simply do not purchase the socket and pot boards and wire the main board to the sockets and pots as per usual. The Full Pot Bracket Kit contains the six 16mm Alpha pot brackets required when using both the main and pot PCBs. The Half Pot Bracket Kit contains three 16mm Alpha pot brackets required when using just the main PCB. To read these files you will need a copy of 'Frontplatten designer' from Schaeffer. The program also features on-line ordering, so it's easy to buy your panels from Scheaffer. Last revised: January 01, 2019.